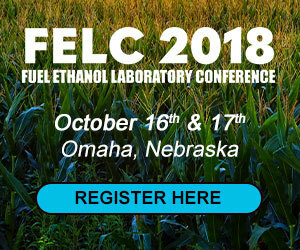 Economists at University of Missouri's FAPRI have found that the U.S. ethanol industry could lose 4.6 billion gallons of domestic demand and $20 billion in sales revenue over the next six years if the EPA continues to award small refinery waivers. Aemetis Inc. has announced plans to implement the Mitsubishi Chemical Corp. Zebrex membrane dehydration system at its 60 MMgy ethanol plant in Keyes, California. 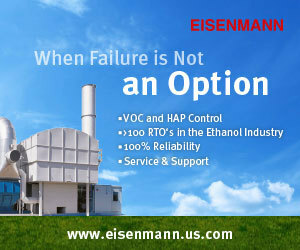 As MCC’s EPC partner in the U.S., IMC Inc. will design and fabricate the unit. U.K.-based Vivergo Fuels Ltd. has announced plans to idle its 420 MMly (110 MMgy) ethanol plant, citing a difficult trading environment and delays in the introduction of E10 into the U.K. marketplace. UNICA, the Brazilian sugarcane industry association, has announced sugarcane mills in the country’s south-central region sold 1.34 billion liters (353.99 million gallons) of ethanol during the first half of August, up 20.32 percent from last year. On Aug. 31, the USDA’s Commodity Credit Corp. announced that it does not expect to purchase sugar under the Feedstock Flexibility Program for crop year 2018. The program encourages the domestic production of biofuels from surplus sugar. On Sept. 10, Growth Energy kicked off its 9th Annual Biofuels Summit in Washington, D.C., where nearly 150 ethanol supporters will advocate to lawmakers on behalf of the ethanol industry for a strong RFS, year-round E15 sales and access to markets.